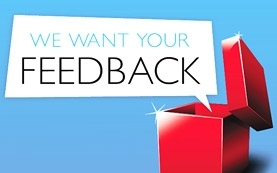 We need your opinions, suggestions & feed back to improve our services. Please sign our Guest Book. இந்த இணையத்தளம் சம்பந்தமான உங்களின் கருத்துகள், ஆலோசனைகள், விமர்சனங்களை இங்கு பதியுங்கள். Interested in hardrock? How about Kiss band? The band is on a tour this 2019 year all across North America. Visit KISS Tour Dates 2019 Tickets to know more about KISS concert in 2019. Love Mr. E. M. Hanifa's voice and his voice is gifted. A firm believer of god. What to tell about him, a god, i have seen in voice. I want to build up the education & knowlege amoung our UMMATH . I wwant to spread Islam all over the world. what a beautiful website I love it. Masha allah, there are many Qaseedas which we can teach our children, Let's encourage our new generation to focus on it. Realy very nice keep going. Its a very nice site, good work keep going! MashaAllah.. Nice site.. if u need any help related to website security and protection feel free to ask me..
mashallah.. very good work keep going on..
"May allah bless both along with the safaa'th of our beloved prophet muhamed (sallahalahi wasallam)"